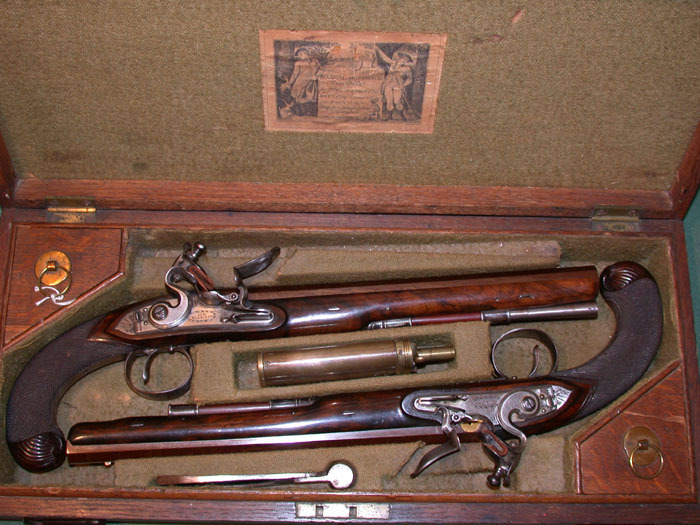 Dueling Pistols are always produced in matched sets to ensure equality in weapons. They commonly have rifled barrels to increase their accuracy. This same rifling makes loading a slower process then in a smooth bore pistol. The tight fit of the ball means that it must be hammered down the barrel with the ram rod. The Queen Anne style is common for duellers though other styles do exist.